India is the 2nd largest digital market in the world, making it much easier now to reach the audience digitally. Moreover, social media has been an integral part of keeping the filmgoing audiences engaged and updated. All social platforms expand the capability of a brand to build connections and engage with the audience directly. Current trends show that Bollywood has been quite innovative while conceptualizing social media strategies for promoting a film. 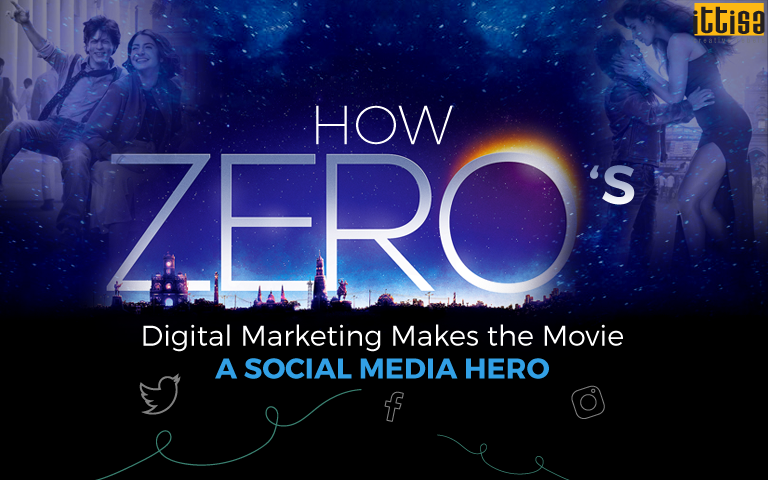 A highly anticipated film in this regard, Zero, which is ready to hit the theaters in a few days is a great example of social media marketing done right. The trailer of the Shahrukh Khan, Anushka Sharma & Katrina Kaif starrer garnered 54 million views in just 24 hours. 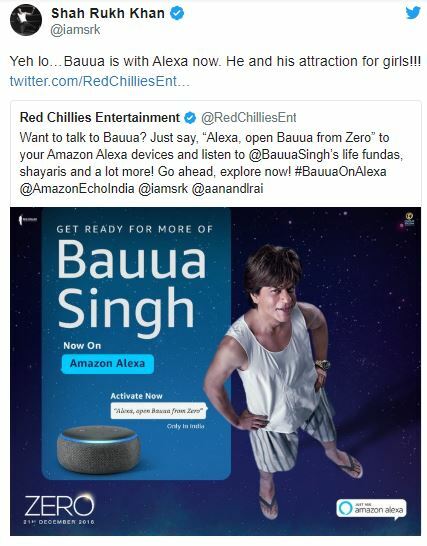 Zero’s producers, Red Chillies Entertainment is the first production company from India to collaborate with Alexa to promote the film. Available only in India, fans would be able to hear the lead character’s voice on ‘Alexa built-in devices’. The makers of the film also ran a contest on social media – #BauuaOnAlexaContest where audiences had to record and upload something in Bauua style. Winners will get a chance to win Zero merchandise or meet the star cast. 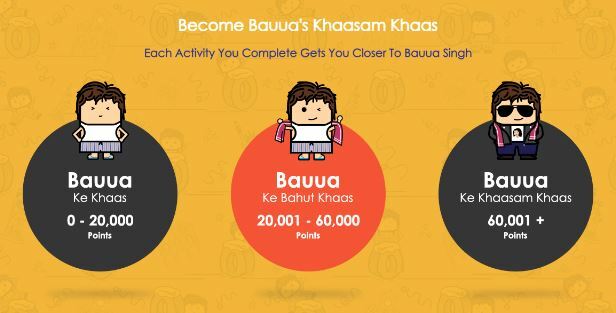 A never-thought-of-before marketing promotion, Bauua Ki Toli is a unique plan where fans can stand a chance to win film merchandise, autographed posters by Shahrukh Khan, cashbacks from movie tickets purchased through PayTM and even meet the star cast. All they have to do is to create a profile on the ‘Bauua Ki Toli’ website and connect their social media profiles. By daily interactions, engagement and inviting friends to sign up, fans can collect points and win hampers based on the points collected. Launching just ahead of the movie’s release, this program is indeed the perfect way to create the right buzz on social media. 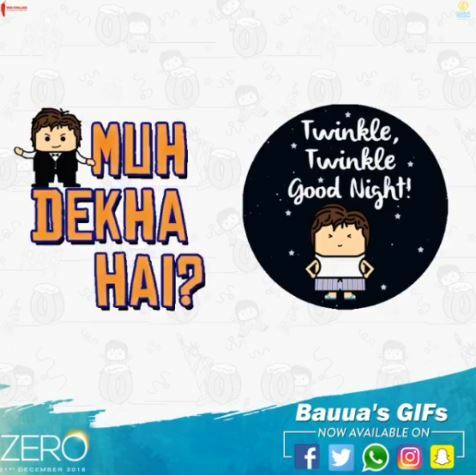 Adding another feather to its cap, Zero is also the first Indian film to launch its WhatsApp sticker pack. Keeping the protagonist’s character as the theme, the stickers are designed with the ‘Bauua’ emotions. A Bauua emoji was also introduced on Twitter that started trending soon after it’s release. GIFs have also been released that fans can use on social platforms like Facebook, Twitter, Snapchat and Instagram. 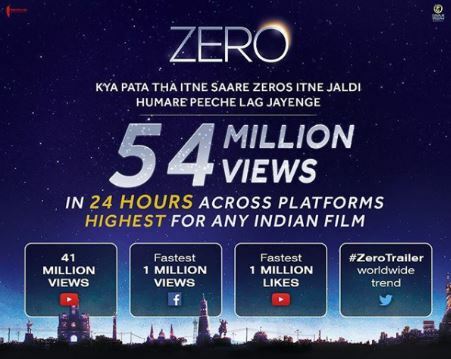 Zero has been successfully using engagement posts from time to time to connect with the audience and making them a part of their journey. For example, people were asked to recreate the ‘kiss on the forehead’ poster scene from the movie with #KissOnForehead. Shahrukh Khan himself led the way by sharing a personal picture of recreating the scene with his son. Facebook Live may be an overused concept, but it is still an integral part of all promotional strategies. Apart from implementing innovative ways, Zero also used this conventional promotional method to reach out to the audience. One such example was when viewers were asked to send in suggestions to make Aafia, the female protagonist played by Anushka Sharma laugh and the best ones were read out by the actress herself on a Facebook live session. The session witnessed 4.2K reactions and 37K views. With technology booming, the digital space has indeed become very big. Promotional campaigns can change based on the genre of the film, but the motive always remains the same – to reach out to as many people as possible. To know more about how to use social media for movie marketing, leave us a message and we’ll get back to you.